Are you prepared for a DOL ERISA Audit of your group health plan? Human Resource professionals face a number of challenges including compliance with state and federal employment rules, laws, and regulations. 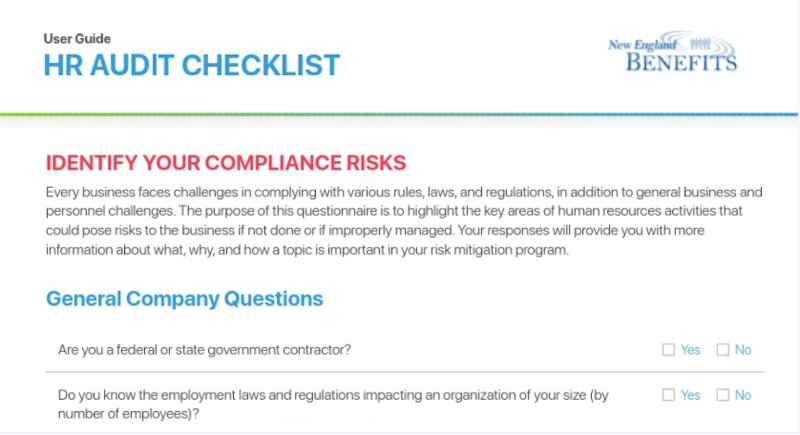 The HR Audit Checklist is a useful tool to help you assess your organization's compliance and to identify areas that may need attention. As a benefits broker, we partner with our clients and provide HR Support Services to help address these important compliance issues. Watch the 3-minute video below for a brief overview of our HR Support Services. Contact us today to obtain the full 6-page HR Audit Checklist and to learn more about our HR support services.